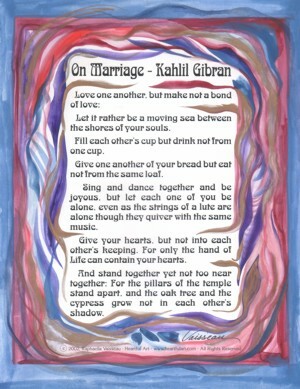 8.5x11 poster of Kahlil Gibran's famous On Marriage quotation from The Prophet with art by Raphaella Vaisseau. This inspirational print is a treasured wedding gift for couples of any faith. Love each other passionately. Be yourself. Share. Express.